The first show the BlogTour group attended in London was TENT, a collection of over 200 exhibitors from 26 countries. There was most definitely an eclectic indy flavor at this unique trend setting show held in the Old Truman Brewery in Brick Lane. With a huge range of products, many continued the theme of old and new. 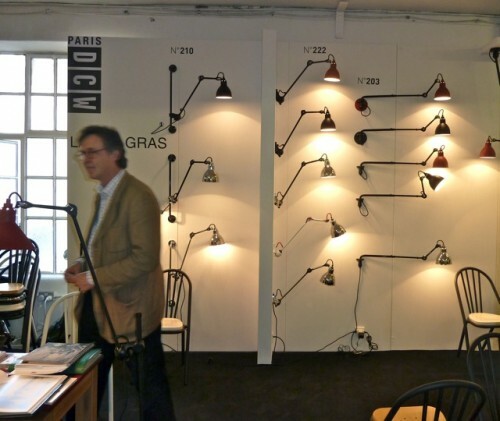 One of my favorite booths was that of the iconic Lampe GRAS. 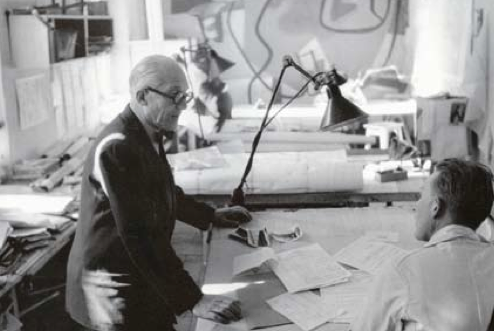 Designed in 1921 by Bernard-Albin Gras for use in offices and industrial settings, it quickly became a cult favorite of many design legends including Le Corbusier (in his studio below), Jacques Ruhlmann and Eileen Gray, who appreciated it for its modern and functional aesthetic. With no screws or welded joints, it was and still is a marvel in purity of design. 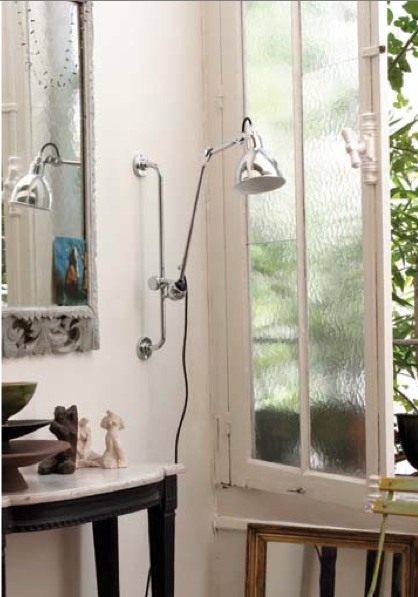 In 2008, DCW Paris formed to resurrect and reproduce such classic and timeless designs. 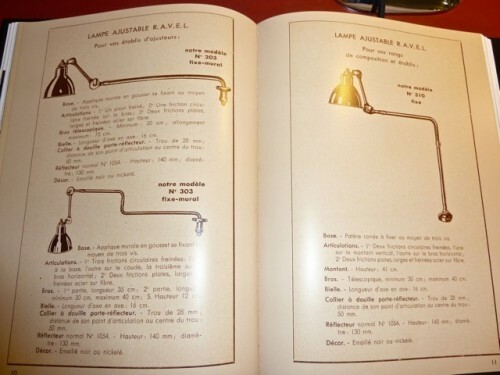 They acquired the rights to Lampe Gras and are now the exclusive distributor. Available in a wide variety of styles and finishes, the light is the epitome of form and function, chic in any number of settings. 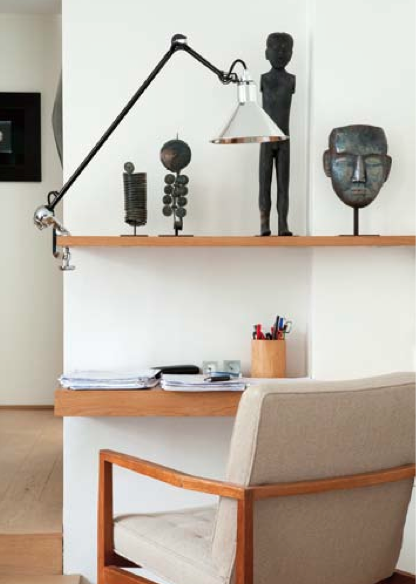 Lampe GRAS is the perfect melding of old and new, as relevant, innovative and versatile a design today as it was almost a century ago. Look for more finds from TENT next. This entry posted in architecture, art, BlogTour, design, interior design, lighting. 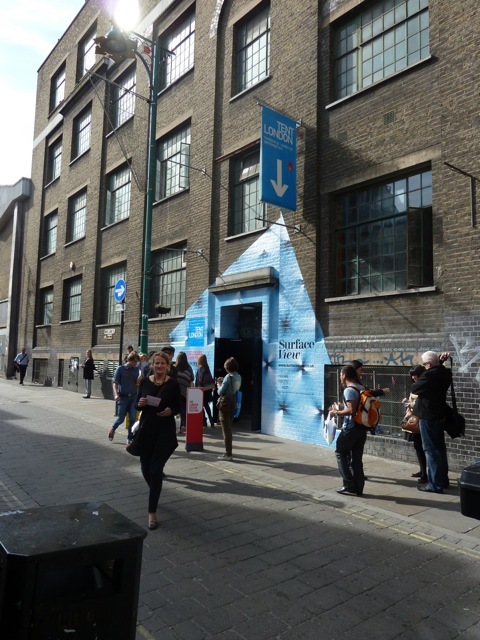 Entry Tags: BlogTour, BlogTour2011, Lampe Gras, London Design Festival, TENT London Bookmark the permalink. These are great but not as great as the variety of things you got to do on this so exciting trip! Sounds like there was not a dull moment!! Thanks for sharing the fun with us. 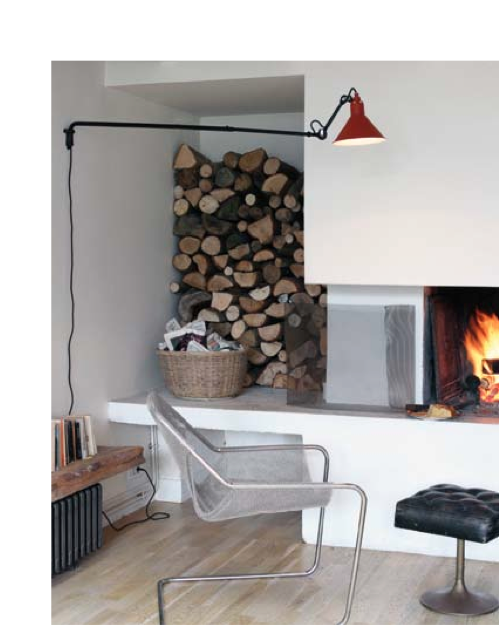 lovely lampe gras! thanks for lighting our way to such great finds. 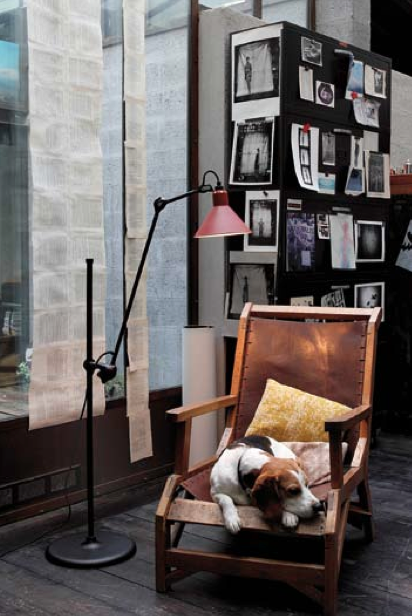 I love these lamps and have one similar in my studio, can’t wait to see more! I have always loved this look and for almost any interior spot this beauty does it’s job to light and at times disappear. Enjoying your reports front he front lines! classics never go out of style–looks like you all had a fn afternoon-can’t wait to see whats next! Classic and chic, adore these! The older I get, the more important a good lamp is. I love this line, q! Thank you for sharing these gorgeous lines. Love these….classic still today! My son keeps asking me to get him an “arm” desklamp”! I need any one of these for my desk!!! 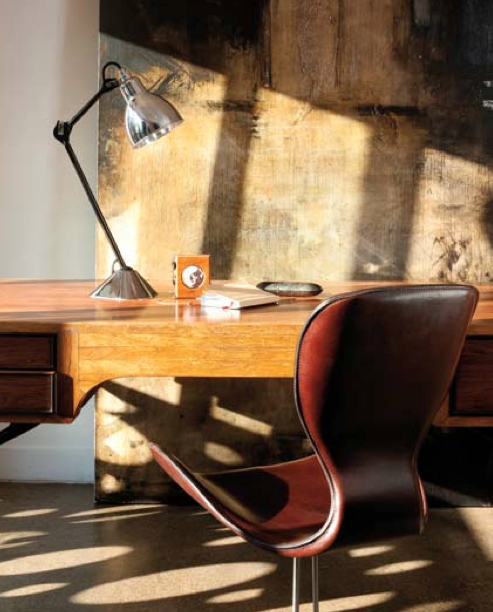 Love design that stands the test of time. I’m with Mary, I’d love to see one juxtaposed with a Berger chair. The sleek and the splendid blend so well together.